These pants add a fierce feel to your wardrobe. 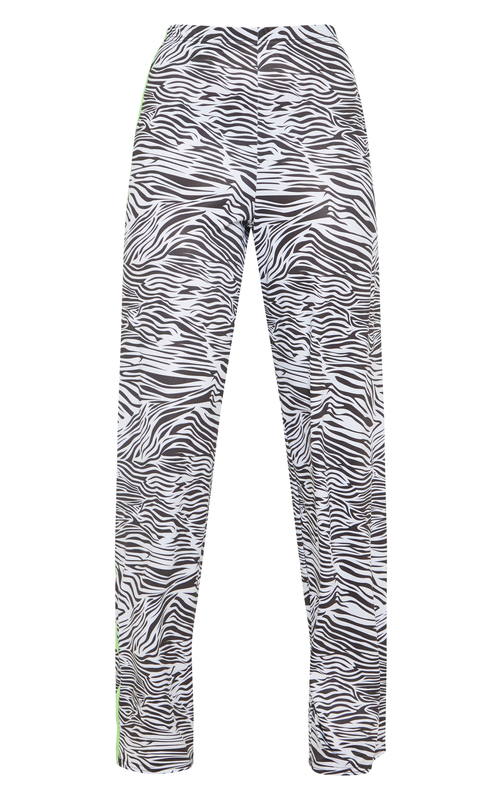 Featuring a white zebra pattern material, a wide leg fit and a neon stripe. We love this styled with a green sweater and black strap heels for a look we're crushing on.